The depletion of native nutrient reserves and emergence of multi-nutrient deficiencies are resulting in decline in factor productivity. Imbalanced use of fertilizers further aggravates the nutrient deficiency, proves uneconomic and environmentally unsafe. Site Specific Nutrient Management (SSNM) is an approach to provide the need based nutrients to the crops when needed. The SSNM provides the guidelines for dynamically adjusting fertilizer application as per local conditions. The main goal of SSNM through balanced and timely fertilizer use is to increase the crop yield, profit and to sustain the soil productivity. Different kind of tools like Crop Manager (CM), Nutrient Expert (NE) and GreenSeeker are available for SSNM. The CM and NE are nutrient decision support tools and recommend the nutrients for the cereals based answers of some questions by the farmers and yield target. GreenSeeker is a hand-held optical sensor that measures crop reflectance to calculate the normalized difference vegetation index (NDVI). This handheld sensor is used to assess nitrogen need of the crop, which allows for efficient fertilizer N management. Therefore, the adoption of SSNM not only helps in achieving the targeted yield but also improves the soil health. 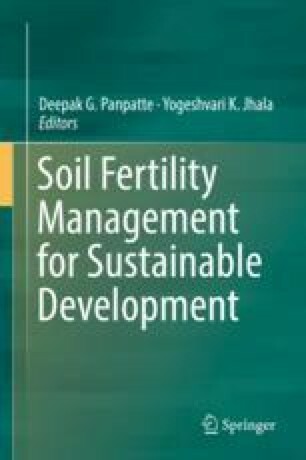 Author is very much thankful to Dr. Sudarshan Dutta, Deputy Director, International Plant Nutrition Institute-South Asia Programme for his valuable guidelines and suggestions during compilation of this chapter.